St. Patty’s Day SHAMROCK SHARE! Happy St. Patrick’s day everyone! I hope you all remember to wear your green to prevent yourself from coming home covered in bruises! 😉 I’ve been very busy lately so I haven’t prepared anything of my own to share for St. Patrick’s day BUT I want to share some other great things that I have found! I’ve been perusing online for the best of the best and here is what I have found! 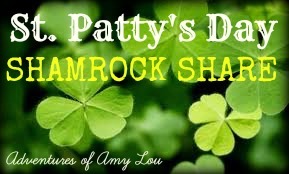 I put it all together into one post for you for this SHAMROCK SHARE! I hope you enjoy! 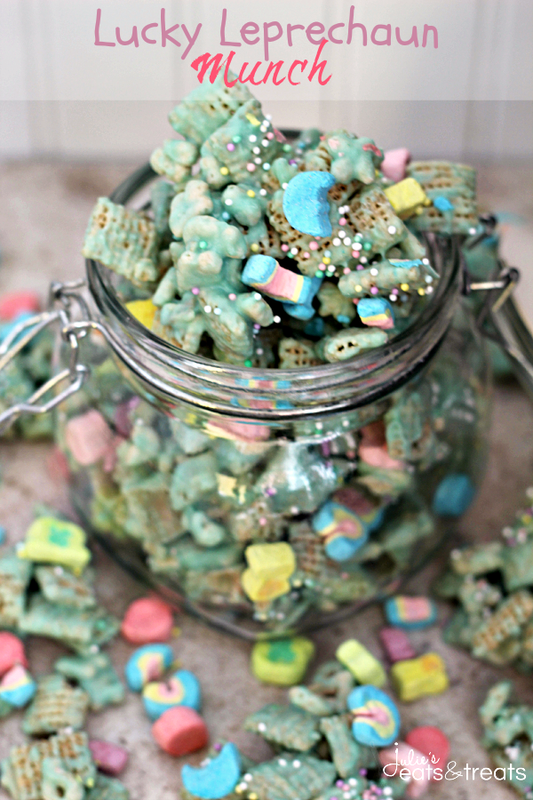 Isn’t this the cutest and most festive snack mix you have ever seen?! I just LOVE it! I found this at Julie’s Eats and Treats! Just go here to learn how to make it yourself! I also found this adorable rainbow cloud cake at Julie’s Eats and Treats as well! Her stuff is all so cute! Here is also the link to learn how easy this cake is to make! 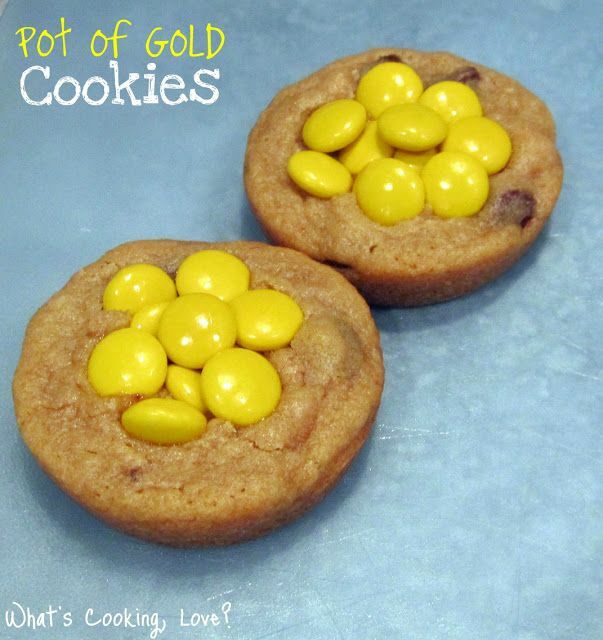 And here is the link to check out how to make these awesome cookies! 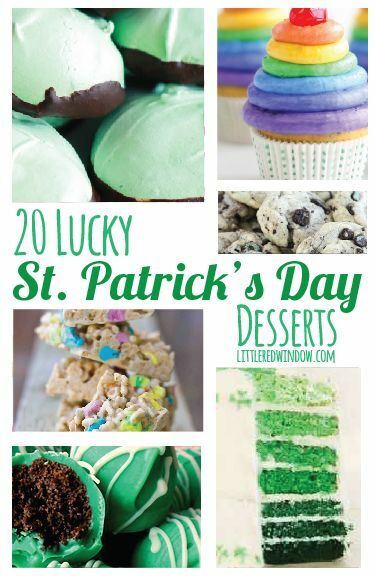 Now I have another that lists a whole slew of great St. Patrick’s day desserts from The Little Red Window! Check it out here! Alright, I think that is enough sweets for one day! If you have kids, holidays like these can be SO MUCH fun! So here are a couple of fun things to do with kids! This first one has a whole list of activities but I especially wanted to share this shamrock hat made from a paper plate! Find this whole list here! 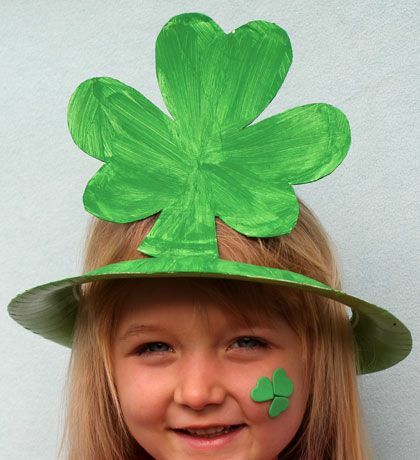 Now, after the kids have made their shamrock hats to wear you can send them on their way for a “pot of gold” treasure hunt! Check out some scavenger hunt ideas over at Mess For Less! Here is their link! I thought the “treasure hunt” idea was a great one for St. Patty’s day! I will definitely be using this idea when my daughter gets older! Seems like so much fun! After all of that running around searching and a ton of sweets I’m sure the kids will be be thirsty and ready for a drink! And you might be ready for a “drink” too! 😉 So here are a few drink options for all of you! Found over at The Weary Chef! 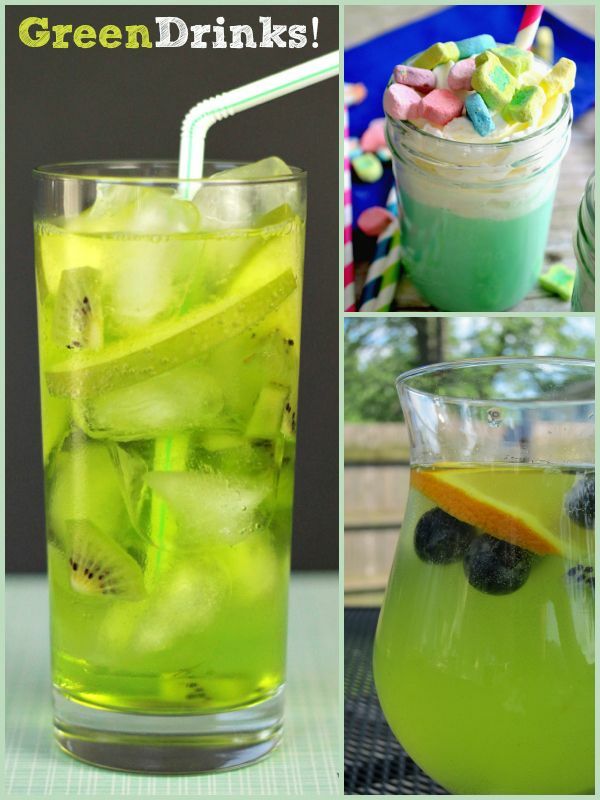 Check out all of these festive drinks here! They’ve got it all! Cocktails, smoothies, milkshakes, and more! You are sure to find something you love! WHEW! So many great things you can do and eat on holidays like these! I hope you all found something that you like also and decide to give it a whirl! If you try any of these ideas let me know how they go for you! I would love to hear about it! The good, the bad, and even the ugly! (I’ll bet everyone’s turns out great though!) Well, that’s all for now and I hope you all have a lucky day on St. Patty’s Day!